Want to stay strong as you get older? Let’s face it, the toughest competitor to run against is Father Time. And as we age, the race against Father Time gets harder and harder. But there’s hope and a real benefit to getting out of bed and lacing up those running shoes and getting out for a run as you age. A study published in 2011 in the medical journal Physician and Sports Medicine looked at the potential benefits of exercise in masters athletes (runners, track, swimmers and cyclists). What they found is that regular exercise in this older age group maintained lean body mass (i.e. muscle) compared to similarly aged non-exercisers. The three MRI pictures above (from the article) show the lean muscle, body fat and bone composition of three different patients’ thighs in the study. The first MRI is of a 40-year old triathlete. The small amount of white on the outside circumference of the thighs is skin and a little bit of fat. The large grey areas are muscles (quadriceps and hamstrings) and the dark and white area in the center is the thigh bone (femur). The second MRI shows the body mass makeup of a 74-year old man that does not exercise. The outer white areas are adipose or fat, the smaller grey areas are muscle and the smaller central area of black and white is the femur again. Take a moment to look at the muscle and bone in this person. Much, much smaller and as a result, much weaker. The third MRI shows why we run, exercise and generally try to stay healthy. The last MRI is of a 70 year of triathlete! Which of the first two MRIs does the 70-year old triathlete look like? Obviously the first MRI of the 40 year-old, with lots of lean muscle tissue and thicker bone mass. Why is lean muscle mass so important as we age? Better overall function, quality of life and less chance of falls and hip fractures. And in case you didn’t know, hip fractures in the elderly carry a high rate of mortality over the following 12 months. So I think we can all agree its better to just avoid one at all costs. 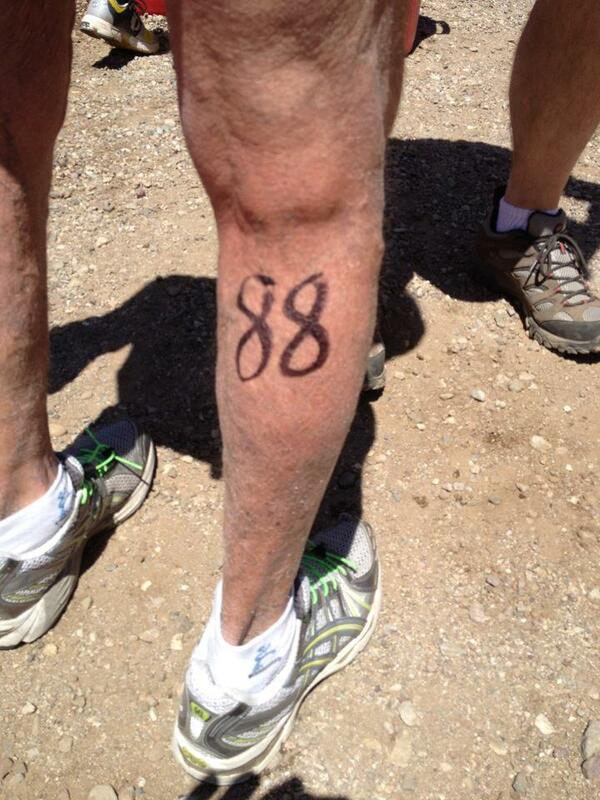 Can you guess the age of the oldest finisher at the US Duathlon National Championships a few years back? You can read the research article here at Physician and Sports Medicine.